There are a total of 72 rooms on the premises. This attractive hotel provides the ideal base for both sightseeing and business. Guests can avail themselves of the key collection service. This unpretentious Hotel is in Jamaica. The premises count with 64 welcoming rooms. 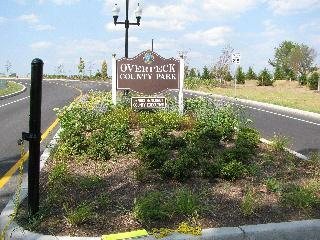 Ideally located in order to ensure that its guests make the most out of their stay in the Nanuet, Rockland County. At only a convenient 30 km from the â€œBig Appleâ€ it is just a short drive from all the fun and excitement this world city can offer. But for those who don't want to venture into the city the nearby Palisades Centre Mall offers 270 speciality stores, an ice-skating rink, 14 restaurants, Imax T heater, bowling, an indoor Ferris wheel and an antique carousel. For guests who are looking for a little outdoor adventure, the hotel staff can help with booking of a cruise up the Hudson. The establishment itself offers spacious and warm guest rooms and stylish and convenient suites for those who prefer a little more space. Those that are looking to relax can dip in the inviting indoor heated pool or make full use of the modern fitness centre. This hotel enjoys a convenient setting on the Long Island Expressway, and provides guests with a great location from which to explore the delightful attractions that the area has to offer. Guests will find themselves in close proximity to Long Island McArthur Airport, for ease of access to and from the area. The hotel is located in close proximity to Splish Splash water park, Southampton Graduate Campus and the Long Island wineries. This charming hotel welcomes guests with the promise of a memorable stay. Guests will appreciate the comfortable, tastefully-appointed guest rooms, which provide a relaxing setting in which to completely unwind at the end of the day. The hotel provides guests with a number of exemplary facilities, catering to the needs of each and every traveller. This pet-friendly hotel offers an affordable way to visit the Big Apple, as Manhattan is just a 15-minute drive away. Business travellers will have easy access to the city's most important corporate headquarters and holidaymakers will be able to easily reach New York City's world-famous attractions, such as the Statue of Liberty, Times Square, Yankee Stadium and the Empire State Building.The comfortable and functional rooms are well-appointed with cosy beds and large flat-screen televisions, and come with free in-room Wi-Fi. Guests can take advantage of the free parking offered by the hotel as well as a complimentary breakfast with Belgian waffles, bagels, muffins and fresh fruit. The hotel also provides a convenient business centre, helpful, friendly multilingual staff at the 24-hour front desk, and a fitness room. Whether travelling for business or leisure, this hotel provides the ideal combination of comfort and convenience. Ideally located just 25 km from Newark Airport, and 5 km from Teterboro airport, this hotel prides itself on its location. Providing easy access to and from the airports, guests can relax and unwind without worrying about transportation issues. The hotel is located 12 km from midtown Manhattan's thriving centre. Guests will find themselves encompassed within a sea of fine-dining, culture, entertainment and shopping facilities. Guests can enjoy a trip to Ellis island to see the iconic Statue of Liberty, enjoy an eco-tour of Meadowland's or go ice skating in Hackensack. The guest rooms are spacious, coupling modern furnishings with lavish fabrics. Oozing decadence and poise, this hotel offers something to each individual guest. 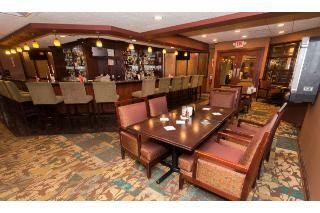 This hotel is conveniently located in Ridgefield Park, lying in an exciting area of New Jersey. 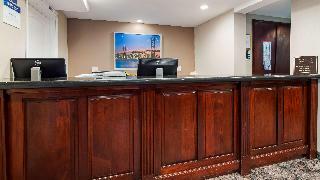 The hotel is located just a short driving distance from John F. Kennedy, Newark Liberty and LaGuardia airports. Guests can enjoy close proximity to a wealth of attractions. Guests will find themselves just a short distance away from the Empire State Building, the Giants Stadium, Madison Square Garden and the AMC Loews Theatre. This wonderful hotel offers guests comfortable, elegantly-appointed guest rooms, which immerse visitors in luxury and style. The rooms feature ergonomic elements, functional space and modern conveniences. Guests can enjoy a delectable dining experience in the restaurant. Those travelling for work purposes will appreciate the hotel's conference facilities. Nestled at the gateway to New York City, this hotel offers thoughtful services such as scheduled shuttle services to Midtown Manhattan as well as great dining options in Fort Lee, New Jersey. Doubletree Fort Lee features contemporary guestrooms and suites that boast amenities such as comfortable Sweet Dreams beds, marble and granite baths and free wireless internet access. There are 3 floors of executive accommodations with extended facilities and services. 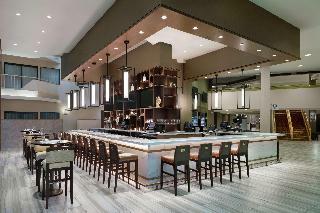 The travellers can enjoy Northern Italian, traditional American and Japanese cuisine for breakfast, lunch and dinner at 3 on-site restaurants. After dinner, the guests can relax in the lobby lounge for pre-theatre cocktails or conversation with friends. 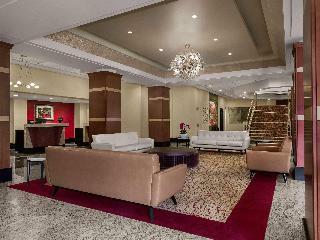 This modern hotel is located in Hasbrouck Heights, New Jersey, close to several shopping malls. The Meadowlands Sports Complex, home of the New York Giants and New Jersey Jets football teams, is just a few minutes away, Meadowlands Racetrack is easily reachable. Manhattan can be reached within a short drive, the international airport of Newark Liberty is about 21 km away. This hotel is located just a short driving distance away from Newark Airport. The hotel is situated within easy walking distance of Newark's business district, lying in the prestigious neighbouring town of Harrison. 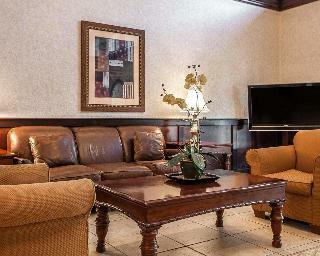 The hotel is conveniently located close to Penn Station and the Gateway Centre. Guests will find themselves in a great setting from which to explore the area. This wonderful hotel is just a short driving distance away from the bright lights and entertainment that Manhattan has to offer. 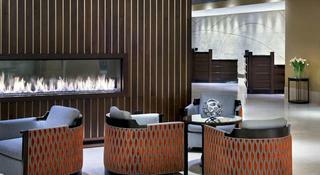 This upscale hotel features stunningly-appointed guest rooms, which exude elegance and style. This hotel delivers the utmost in comfort and convenience, featuring a broad range of exemplary facilities and services. This hotel offers an ideal location just five minutes from Newark International Airport and 90 minutes from JFK International and La Guardia Airports. The comfortable hotel in Elizabeth offers easy access to many restaurants, bars and nightlife and is within walking distance of hundreds of shops and stores. The Statue of Liberty is just seven miles away.The hotel offers a shuttle from and to the airport.Excellent cultural activities are to be found within just minutes of the hotel. In Newark, you'll find an excellent symphony, a robust art museum and one of the top concert venues in the United States. In addition the hotel offers a broad range of services and amenities to make your stay exceptional. Furthermore business conference facilities are available to business guests. All rooms come fully – equipped as standard. Set just next to Newark International Airport, the luxurious hotel Doubletree Newark Airport enjoys a strategic location close to Newark city centre. Corporate offices such as Anheuser-Busch Breweries or Maersk Sealand can be found nearby, while Jersey City and the world-famous attractions of New York City such as the Rockefeller Center, Radio City Music Hall or the MOMA are within a short drive.The renovated hotel features a large glass-atrium, which gives the lobby area with its indoor terraces a wonderful airy ambience. The oversized rooms have a modern design of timeless elegance, decorated in soothing colours and with all the necessary amenities. Business guests will appreciate the 24-hour business centre and the 1,700 m2 of conference facilities. There is a 24-hour fitness centre as well as a nice indoor pool. A great choice for business and leisure guests alike, especially if they wish to stay close to the airport. The hotel is located near many popular attractions, including the Liberty State Park, the New Jersey Performing Arts Centre and Atlantic City. New York City is 32 km from the hotel. Visitors will enjoy shopping at the nearby Menlo Park and Woodbridge Centre malls. 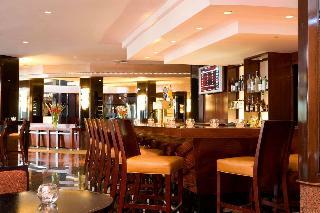 The hotel is also minutes from corporate offices, train stations and a variety of restaurants. Several major New Jersey highways are also nearby. The establishment comprises a total of 101 rooms. Guests of this hotel will enjoy many amenities, including free deluxe continental breakfast and 24-hour coffee service. A free airport shuttle is available upon request. Guests will also enjoy free local calls, free weekday newspaper and conference facilities. All spacious suites are uniquely designed and fully-equipped as standard. 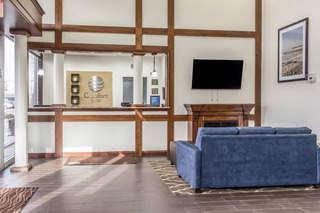 Located just 3 km from Newark International Airport and 4.5 km from downtown Newark, this hotel offers an oasis of comfort, convenience and modern amenities. Guests will appreciate the hotel's convenient location minutes from the Jersey Garden Outlet Mall, and the New Jersey Performing Arts Center. This Newark hotel is also set in an ideal location to explore all the excitement of New York City, only 24 km away, where visitors can see iconic attractions like the Statue of Liberty and Times Square, or attend a thrilling Broadway show. This hotel enjoys an ideal location just 2 km from the Jane Voorhees Zimmerli Art Museum. It is minutes from the State Theatre, Princeton University and Six Flags Great Adventure theme park. Several shops and a variety of restaurants are also located in the surrounding area. A transportation centre with links to Manhattan, New York is also located nearby. The Newark Liberty International Airport is only 35 km away. This hotel comprises a total of 66 rooms. 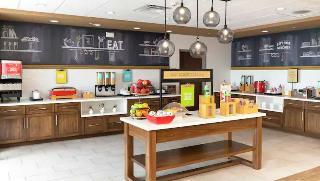 Hotel amenities include free continental breakfast, a free weekday newspaper and free coffee. Business travellers will appreciate conveniences like free high-speed Internet access and access to copy and fax services. All rooms come with satellite/cable TV and include a microwave, a fridge and an iron set. Some rooms also have a spa bathtub. Sports enthusiasts can enjoy a work-out in the gym. 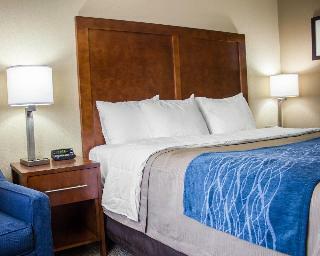 This hotel is located close to Newark International Airport in the New York Area. The hotel offers a great location for business and leisure travellers alike, as well as those seeking relaxation before or after a long flight. Links to the public transport network are to be found nearby, offering ease of access to the main attractions that the vibrant city of New York has to offer. This charming hotel is sure to impress, featuring a contemporary design and oozing character and poise. The guest rooms offer a relaxing setting in which to relax and unwind at the end of the day. Guests are invited to enjoy delectable dining in the hotel's 3 restaurants, where international dishes are just waiting to be savoured. This hotel fails to disappoint. The hotel is convenient to many offices and major corporations including Anheuser Busch, Toyota, Exxon/Mobil, Prudential, PSE&G, Pfizer, ADP and Johnson and Johnson. For shopping, the Jersey Gardens Mall and the Mall at Short Hills are minutes away from the hotel. Other nearby attractions include the Jersey Shore, the Meadowlands Sports Complex and the New Jersey Performing Arts Center. The Empire State Building is around 35 minutes' drive and Times Square is around 70 minutes' drive away. A complimentary 24-hour airport shuttle service is offered, and convenient train services to Pennsylvania Station are available from this modern hotel. The hotel is adjacent to Newark Liberty International Airport (EWR), offering comfort and value only ten minutes from Downtown Newark and 20 km from New York City. Other nearby airports include John F Kennedy International (around 53 km) and La Guardia (around 39 km away).This conference hotel offers a total of 385 rooms and welcomes guests in a lobby with 24-hour reception and check-out service. 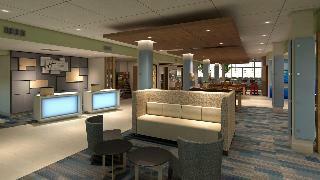 Additional facilities at this air-conditioned airport hotel include lift access, a newspaper stand, games room and a bar. Room service and laundry service are provided, while Internet access is available for a fee. On-site parking is complimentary.At 348 square feet, the spacious guest rooms are all en suite with shower, bath and hairdryer. 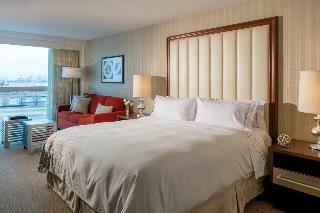 Amenities include a double or king-size bed featuring the Sweet Dreams Bedding Package for maximum comfort. For convenience, all rooms have a work station with dataports, high-speed Internet access (available at a charge), Herman Miller Aeron ergonomic desk chair, two multi-line phones (1 cordless) and voicemail. Other in-room amenities include On-Command cable TV/pay-per-view movies, a radio, a safe, an ironing set and a coffee maker. All rooms have individually regulated air conditioning/heating and a complimentary USA Today is delivered to the guest room daily. This hotel is conveniently located 1 km from the main entrance to Newark Liberty International Airport and 2 km from downtown Newark. Nearby businesses and attractions are minutes away via the New Jersey Turnpike, the Garden State Parkway, and Routes 78, 80 and 280. New York City is only 32 km away and Meadowlands Sports Complex is 32 km from the hotel. This hotel was built in 1988 and comprises a total of 3,778 rooms. Facilities on offer to guests include a full-service. All guest rooms offer Internet access, TV, radio mp3 players, a work desk, telephones, an iron and a hairdryer. There is a 24 hour Fitness centre, glass enclosed indoor pool, whirlpool spa on the pool deck. The hotel restaurant is open for breakfast, lunch and dinner. Also the hotel offers 24- hour room service for a private dining. This hotel is located across from the main entrance at Newark Liberty International Airport and lies only 5 minutes from downtown Newark, and just 10 minutes from the Statue of Liberty. This is a full service property in a great location, across from Newark Liberty International Airport. Facilities on offer to guests include a complete business centre, free wireless Internet and complimentary parking. All rooms are nicely decorated and include a hairdryer, a 32- inch flat screen TV, an iron and ironing board, speaker phones with voicemail, safe, coffee maker and high speed Internet connection. The property features a state-of-the-art 24-hour gym. The on-site restaurant and lounge boasts a menu of delectable French, Italian and American cuisine along with delicious desserts. Open for breakfast, lunch, and dinner. Located in Newark, this hotel is near the airport and close to New Jersey Performing Arts Center, Newark City Hall, and Newark Public Library. Additional points of interest include Prudential Center and Military Park. The hotel is only 15 minutes from Manhattan via excellent public transportation links.